Collage of Central American women. Beverly Goldberg. The case of Imelda Cortez, a young woman from El Salvador accused of attempting an abortion when in fact she had an unforeseen pregnancy, was reported to the authorities after going to hospital due to a haemorrhage. She was turned over to the police by those who were caring for her, showing how absurd the negation of basic human rights to women in Central America has become. With only 18 years of age, Imelda became pregnant after being raped by her elderly stepfather, a tragic occurrence that dates back to when she was only 12, a tragedy that is sadly nothing new in El Salvador. Imelda suffered an unexpected birth in the toilet pan of her bathroom and consequentially was accused of attempted homicide. This week, the trial against her was due to commence, with the likely outcome being a sentence of 20 years in prison, however it has been postponed until December due to the judge reporting herself as unwell. This delay only serves to further violate the basic human rights of Imelda who currently finds herself in pre-trial custody. Her right to freedom is being systematically violated by the state of El Salvador. This terrifying story exemplifies the extent to which violations of the rights of women can reach in Central America, where poverty, inequality, violence and social exclusion combine with a culture that is tremendously patriarchal and machista. The fight to guarantee the rights of women, such as the depenalisation of abortion, is still a tough battle in the region. Imelda is a tragic reflection of what occurs in one of the regions that most restricts abortion in the world. Dozens of women are accused and deprived of their freedom, even for miscarriages. El Salvador, Honduras, and Nicaragua continue penalising abortion in all circumstances, a tough stance against human rights. Other countries in the region such as Costa Rica, Guatemala and Panama have made advances towards legalisation but only in the case of a risk for the life of the mother. Being a woman in the so-called northern triangle, made up of El Salvador, Honduras and Guatemala, means living in one of the most deadly regions on earth. The Guttmacher Institute indicates that between 2010 and 2014, 24% of all pregnancies in Central America ended in abortion. A figure which governments in Central America have turned their backs on, but that proves there is an urgent need to put policies in place that guarantee the rights of women. Being a woman in the so-called northern triangle, made up of El Salvador, Honduras and Guatemala, means living in one of the most deadly regions on earth, not only due to the high rates of femicide, but also because of the alarming levels of impunity. El Salvador, Honduras, and Nicargua are among the countries with the highest impunity index on the Global Impunity Index, that also includes other countries in Latin America such as Mexico, Brazil, Colombia and Paraguay in this category. Gender based violence worsens in the context of a criminal justice system that is obsolete, and that has great difficulty in distinguishing between manslaughter and homicide with intent when discussing violence with sexist motives. 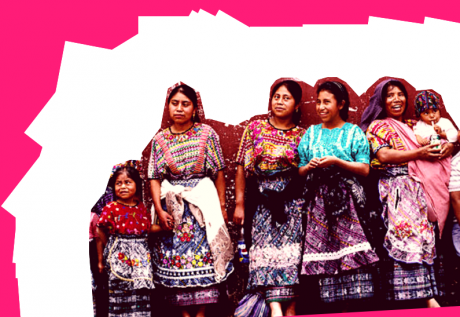 The classification of femicide in Latin America and the implementation of specialised tribunals , as it has been the case in Guatemala, have demonstrated their capacity to reduce femicide rates, but many challenges remain. The Gender Equality Index situates Central American nations in a woeful position. Costa Rica, the country in which there is the lowest levels of gender inequality in Central America, is situated in position 62, followed by El Salvador (82), Nicaragua (89), Honduras (100), Panama (108) and Guatemala (114). In Honduras for example, only 36% of women have secondary levels of education, and the female life expectancy is 76 which is the lowest of the region. It may be difficult to believe but in 2015, 1445 girls between the ages of 10 and 14 became pregnant due to sexual violence, inequality and systematic abuse, product of a phenomenon that criminalises the victim and victimises the criminal. In El Salvador, 28% of women have no access to contraceptives, and only 6.7% of STEM subject graduates are women. In terms of female empowerment we also have a long way to go. Whilst we await the trial of Imelda that has been postponed until December, the fight for securing the human rights of Central American women should be a priority. The case of Imelda, a young girl who was raped by her step father of 70 years of age, and who could face 20 years in prison for an abortion that never in fact took place, in sadly a reflection of a broken system and the absurdities that arise from it. The campaign, #JusticiaParaImelda (justice for Imelda) represents an opportunity to bring to light the fight against the tremendous rates of sexual violence and restrictive legislation that currently oppress women in Central America and in many other parts of the world.